Cleveland, Ohio April 17, 2019 - Lubrizol Engineered Polymers and Bjørn Thorsen A/S, their Nordics distributor, will be presenting high-performing Bio TPUTM (thermoplastic polyurethane) portfolio and new launches at the upcoming Plastteknik fair in Malmö, Sweden May 8-9 at booths C.06 and C.07. High-performing PearlthaneTM ECO solutions, part of Lubrizol's Bio TPUTM portfolio for molding and extrusion applications, show excellent results in transparency, durability and flexibility, as well as very good hydrolysis resistance. The Bio TPUTM offering was recently expanded with a new aliphatic TPU development that is color-stable and highly resistant to staining and UV, and a grade for 3D Printing commercialized under the name: Estane 3D F95A-030 BR ECO TPU. This new Estane 3D ECO TPU has a broad printing window, is compatible with standard support materials and produces highly transparent 3D printed parts. David Pascual, Global 3DP marketing manager states that: "Focused on a sustainable future, Lubrizol is pleased to offer a new 3DP material for fused filament fabrication based on renewable sources and market demand. 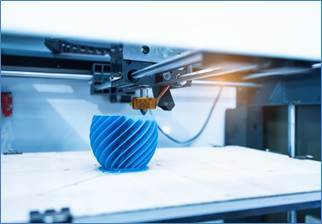 Without compromising performance, our 3DP portfolio is expanding quickly and delivering value in diverse applications and meeting the requirements for new and advanced materials and technologies for sustainable development". With more than 60 years of experience and a worldwide network that includes formulation design, manufacturing, R&D and cutting-edge technologies, Lubrizol Engineered Polymers offers one of the broadest portfolios of engineered polymers available today including resins that are bio-based*, recyclable**, light stable, flame retardant, adhesive, chemically resistant, optically clear and fast cycling. Our technology crosses many industries and applications, including surface protection, power and fluid systems, sports and recreation, wearable devices, electronics and automotive. For more information, visit www.lubrizol.com/engineered-polymers (http://www.lubrizol.com/engineered-polymers) or contact engineeredpolymers@lubrizol.com (mailto:engineeredpolymers@lubrizol.com). Lubrizol Engineered Polymers and Bjørn Thorsen unveil bio-based* polymers at Plastteknik 2019.